Ulot in waray means monkey. 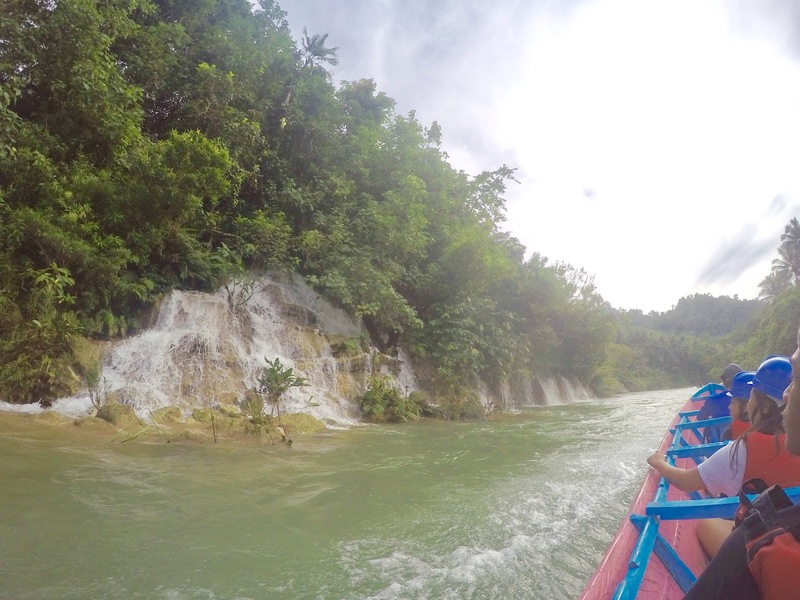 It is also the longest river in Samar, which is home to one of its most thrilling offerings to adventure seekers. Tinago translates to hidden in English. It is also the name of a popular tourist attraction in the province of Biliran, the Tinago Waterfalls. Danao means lake. 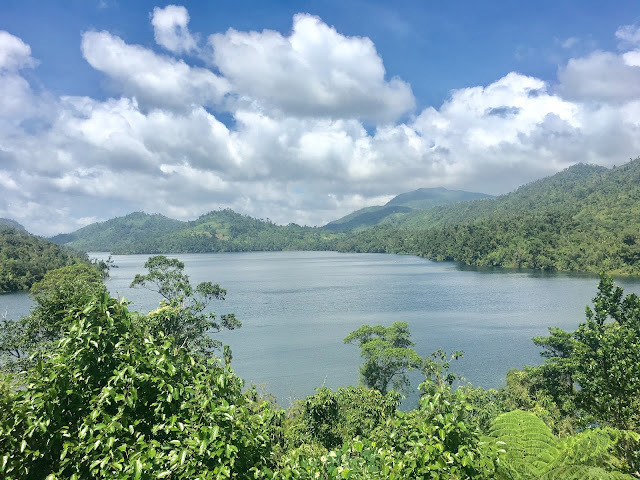 It is also the name of a guitar-shaped lake on the island of Leyte. 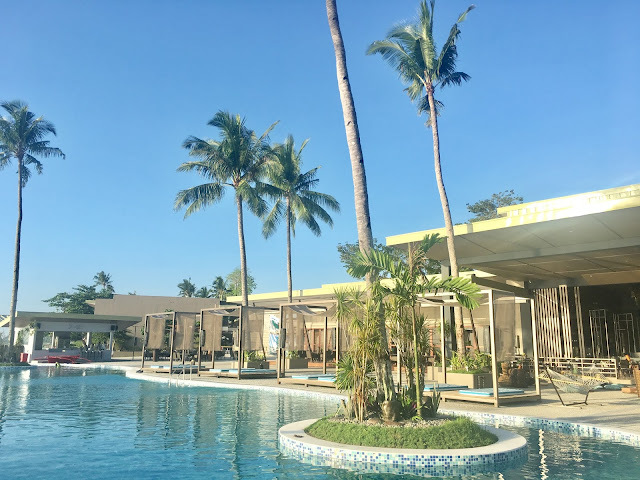 In three days, we were able to visit the three main islands of the Eastern Visayas Region, swim in three different bodies of water, and enjoy the other offerings of the region. Thanks to Philippines AirAsia and the Department of Tourism Eastern Visayas. Our journey began in Tacloban City, one of the gateways to the region. There we met with representatives of the Department of Tourism -- Cris, Brett, and Fidel, who became our guides in this three-day adventure. I accompanied a group of media representatives who were there mainly to cover the third anniversary of the deadliest recorded typhoon that made landfall in the country. But, prior to joining the commemoration, our hosts decided to take us around to see how the region, still reeling from the effects of the typhoon, are coping. From Tacloban City, we headed to Paranas, Samar. We briefly stopped at San Juanico Bridge for some picture taking. Interestingly, the region is the only one in the country whose main islands are interconnected by bridges. 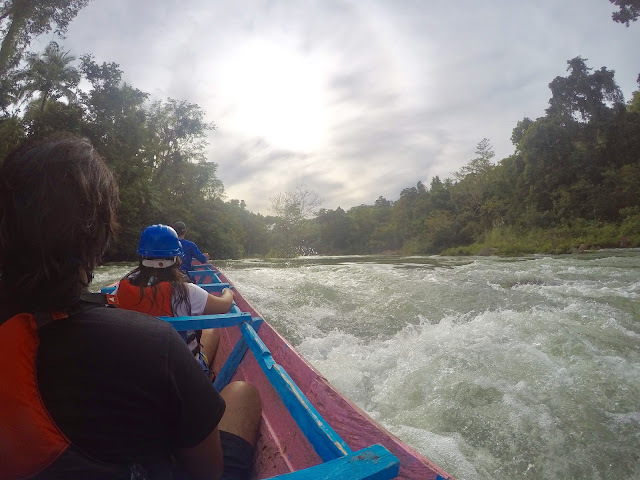 Our first destination was Ulot River for some extreme downstream and upstream river boating adventure courtesy of The Ulot River Torpedo Extreme Boat Adventure. 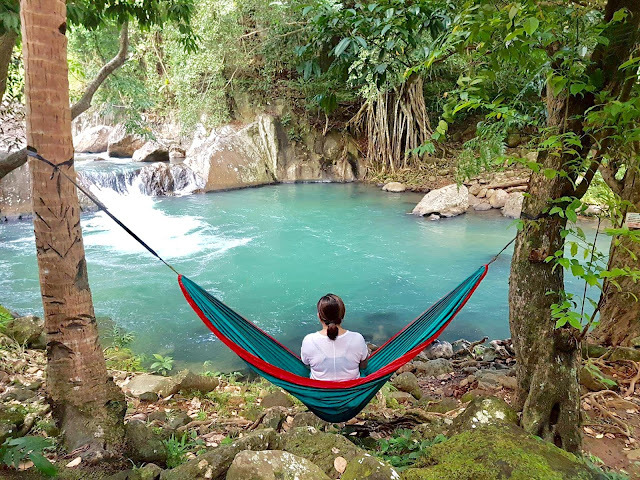 This is a community-based tourism project under the Samar Island Biodiversity Program designed to give alternative livelihood for former illegal loggers who used the river as a distribution channel. Torpedo, the boat used in the adventure, is an acronym for the Tenani Boat Operators for River Protection and Environmental Development Organization (TORPEDO), which was set-up after realizing the ecotourism and adventure destination potential of the river. A torpedo boat can take up to a maximum of seven people, including two guides. The rent for each boat is P 1,825. The whole ride, not including the stop, takes around two and a half hours, and it covers 10.5 kilometers. 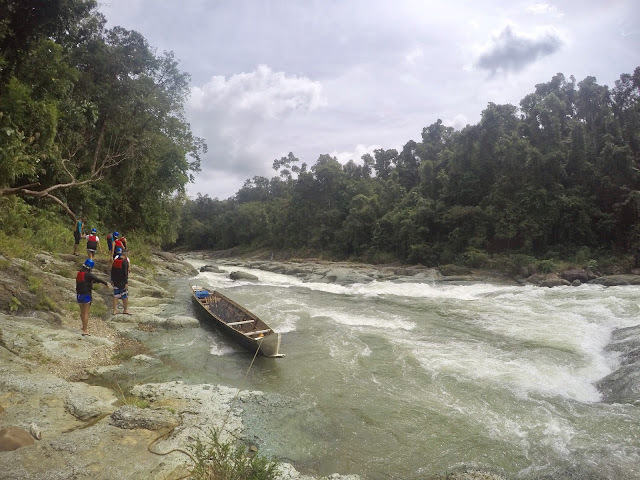 We were briefed and geared for adventure at the Samar Island Natural Park headquarters, where we also got into our torpedo boats. From there, we went downstream into the green tinged river, framed by thickets. We passed by curtains of falls and of course a series of rapids, which got some of us squealing with thrill. Our end point was Deni’s Point, where we jumped into the swirling water. It was frightening at first, and I worried about my legs, but it was so fun. The salmon run on our way back to the jump-off point turned out to be more relaxing, except for a few splashes on our faces. From Samar, we went back to Tacloban City. Our group was divided into two groups. I joined the group that stayed at the newly opened Hotel Estrella. From Tacloban City, we went to Biliran. It was a familiar route for me, and I requested for a photo stop at the bridge connecting Leyte to Biliran. We also had a rest stop at Lemon, where a few months ago, we almost got stranded on our way to Biliran. Our first destination was Canaan Hills Farm and Honey Garden, the first organic farm accredited in Eastern Visayas. It is an uphill farm located in Barangay Uson, Caibiran, with a sweeping view of Caibiran Bay at its highest point. 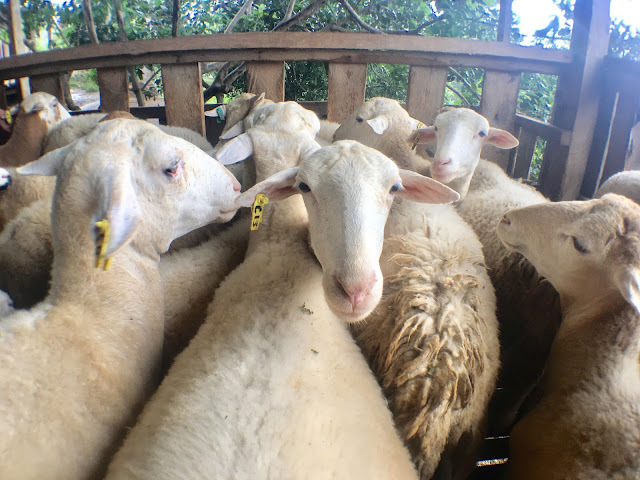 We were toured by one of the sons of the owners, Mr. Jeffrey Espinazo, and our itinerary included tree planting, petting the sheep, then organic lunch. The farm has different fruit-bearing trees, including those that are endangered, and ornamental plants. The farm also raises chickens, goats, and sheep. It also sells peanut butter, turmeric powders, Ayul (or luya) ginger powders, lemon honey, and other pasalubongs. For those visiting the farm, it is important to note that there are few don’ts. Guests should dress modestly. Smoking is strictly prohibited. Alcoholic drinks are also not allowed. Only Christian and soul soothing music are allowed on the farm. 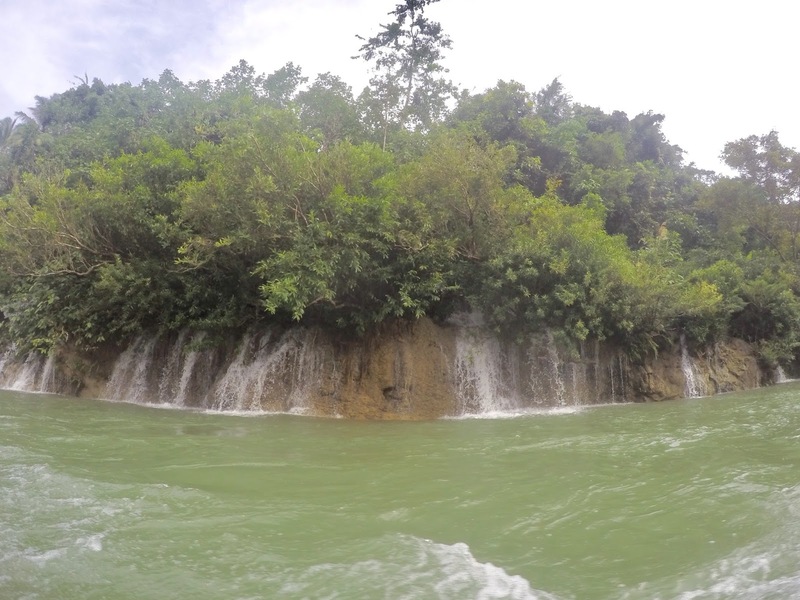 After Canaan, we went to Tinago Falls located in Brgy. Cabibihan, Caibiran Biliran. Before plunging in, we enjoyed some snacks prepared by our hosts. We had Biliran’s famous suman and fresh coconut juice. Despite still being full from lunch, I couldn't resist. I almost passed the chance of swimming but hearing the sound of the cascade flowing down and our group having fun, I just had to. The pool really looks inviting, plus cold water is really invigorating. 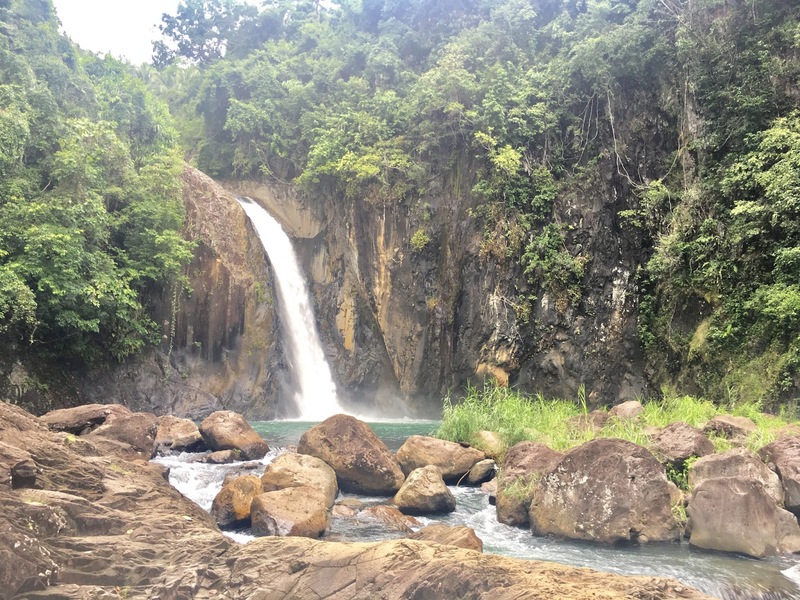 After Tinago Falls, we traveled to Ormoc City. I stayed at Ormoc Villa Hotel. It was a calming morning to mid-day for us. We spent it at Lake Danao, Ormoc City’s foremost natural attraction. This lake covers an area of 148 hectares and is located in the in the 2,193 hectares Lake Danao Natural Park. It is volcanic in origin and is probably a depression caused by the Leyte Central Fault. There are floating cottages for rent, and we got into one. My traveling companions went kayaking and swimming. I chose to just enjoy the moment and appreciate the beautiful and tranquil lake. At an elevation of 2,130 ft above sea level, an altitude similar to Tagaytay, its cool breeze is refreshing. During lunch, we had usual Filpino picnic fares like grilled liempo, pansit, and roast chicken. After Lake Danao, we headed to Palo City to join the Yolanda memorial. We had three stops. First, we toured the Vatican-built Pope Francis Center for the Poor complex managed by the Congregation of Kkttongnae Sisters of Jesus. We also lighted candles at the Palo Cathedral, where a mass grave is also located. Finally, we joined the ceremonies at the MacArthur Landing Memorial Park, where Philippines AirAsia prepared a candle lighting ceremony. After a full day of activities, it was a joy to be accommodated at a The Oriental Leyte, a first class resort hotel located in Palo. Everything was memorable, from the welcome ceremonies to the dinner reception, to all of the hotel’s picture worthy corner. We spent our last night in the region reminiscing, exchanging pics, and looking forward to future travels, over local and imported brews. Philippines AirAsia flies to Tacloban daily from NAIA Terminal 4 in Manila.